You may remember that Imagination Technologies hit the headlines recently, when rumours that the company was developing chips for Sony's PSP 2 were doing the rounds. 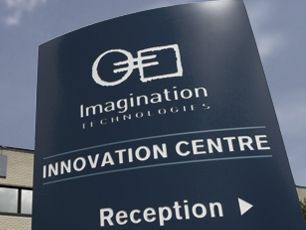 Those rumours, based on Imagination's 4 September announcement that the company was working closely with an "international electronics systems company" seem to have been a little off the mark, following today's announcement that Apple has taken a 3.6 per cent stake in Imagination Technologies. Imagination's announcement back in September referred to a multi-year, multi-use licensing agreement for use of its current and future POWERVR graphics and video intellectual property cores. An Imagination Technologies rep told TechRadar today that they couldn't yet say anything more about the specifics of the deal, but that they were clearly 'delighted'. While we await specific details on what is in store, it is a fair bet that Imagination's tech is going to be used to improve the graphics and video playback capabilities of Apple's iPhone, iPods and other rumoured/ as-yet-unannounced mobile devices. Imagination's next gen graphics core, the PowerVR SGX, introduces OpenGL ES 2.0 support and a Universal Scalable Shader Engine that enables mobile devices to run very efficient, shader-based 3D graphics. Now, let's get back to fielding those rumours about plans for Apple netbooks and iPhone nanos.